WASHINGTON, D.C., March 28, 2017 (SEND2PRESS NEWSWIRE) — On March 28, 2017, the Treasurer of STEM-CAN Supporters (SCS) sent a $2,500 check to Fritz Blandon, Principal of Milwaukee Allen-Field Elementary School as a donation for the immediate purchase of Student Leadership Blazers and seven compound microscopes along with some minor supplies. Principal Blandon had earlier described to SCS these prioritized needs and their estimated costs as being beyond his school budget. Since such beyond-school-budget supplies and projects are well within the mission of SCS, it was easy for SCS to be of prompt assistance. SCS is glad to give direct help to needy public schools for the direct benefit of their students; it is doubly pleased to get such thrilled reaction as received from Principal Blandon who was effusive in his letter of acceptance of the donation. This original gift to Allen-Field Elementary represents exactly half of what SCS has budgeted for the school community. SCS is deeply convinced that it takes a community to produce the best possible Public School results; it takes a community to minimize absenteeism while maximizing school spirit and graduation rates of caring students. Therefore, beyond these kinds of direct help to the school, SCS offers the matching amount of funding to help the school PTO or school community leaders to strengthen the local school community. Such school community funds will be used by the local volunteer leadership of parents, teachers, and other community leaders for enriching neighboring and deepening communication among the whole school community. Other needy neighborhood public schools are invited to participate similarly in using similar funding by the STEM-CAN Supporters, a charitable educational corporation. STEM-CAN Supporters initially budgets a get-acquainted $5,000 per applying needy neighborhood public school, with $2,500 dedicated to immediate classroom, project, program or school needs and a matching $2,500 for developing school community neighbor relationships. These relationships are developed and supported primarily through “Our Community Hour” as described at https://stem-can.org/for-parents/. For further information contact Edwina Rogers via Edwina@STEM-CAN.org. 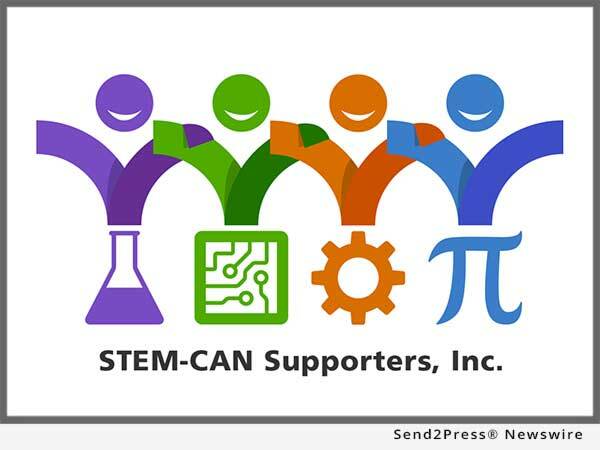 News Source: STEM-CAN Supporters Inc.
More from STEM-CAN Supporters Inc.
STEM-CAN Supporters, Inc. (SCS), a charitable educational corporation, is deeply convinced "it takes a community" to educate its own youngsters maturely. All SCS funds and efforts are motivated for 100% graduation of caring students. All SCS efforts are approved by the clear authority of the local Public School Principal. RSS News Feed for STEM-CAN Supporters Inc.
REFERENCES: Education and Schools News, STEM-CAN Supporters Inc, STEM education, Milwaukee Allen-Field Elementary School ,WASHINGTON, D.C.